When you have long hair, or even mid length hair, breakage and split ends can become a real beauty bugbear. As well as making your hair feel dry and less manageable, they can make your cut look messy and also make it difficult to achieve some of the sleek styles you might want – with damaged flyaway strands ruining things. Once hair is damaged to this extent, there isn’t anything that can be done to repair broken hairs. So the best remedial action is to get some length trimmed off. You may also be able to improve the look of hair with split ends using serums and keratin products, which can help smooth hair down and make them less visible. However, the best solution is really to prevent split ends and breakages from happening in the first place! So, what are the main causes, and how can you avoid them? 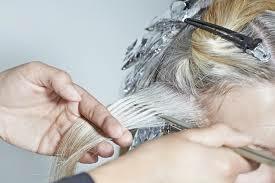 Hair is more prone to breaking or splitting when it is weak, brittle and dry. This can happen as the result of a lot of things, but the most common cause for most people is damage caused by coloring and styling. Bleached or permed hair suffers the worst of all. For this reason, it is important to color responsibly if you aren’t prepared to lose length. Never lighten hair more than a couple of shades in one go, and always leave at least two weeks between damaging processes. Even if you don’t color your hair with damaging products, be sure to use a good heat protection spray before using hot styling and to regularly treat hair with a hot oil treatment and use rich, nourishing conditioners. Another major cause of hair breakage can be brushing the hair incorrectly. Never brush your hair when it is wet, as this will cause it to stretch and break. 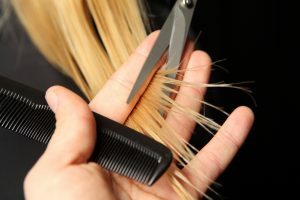 Detangle gently with a comb after conditioning, starting at the ends until you can run the comb all of the way through. Also, avoid sleeping with wet or damp hair. The friction of your pillow against the hair can cause further tangling and breakage. Choose the right kind of brush for your hair type. 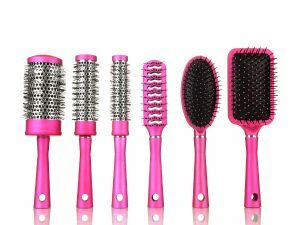 You shouldn’t be able to hear any ripping or breaking sounds as you pull the brush through your hair, even if you have tangles. If you want further advice on keeping your hair looking healthy, or want a new cut to get rid of damaged ends, book an appointment at NYC’s best hairdressers today!